The Smoking Poet is a literary ezine, established in 2006, and published online on a quarterly basis. TSP’s third annual short story contest is open to all writers, whether they have been past contributors to TSP or not, and in any genre. Prizes will be awarded to the top three stories: first prize, $300; second prize, $100; third prize, $50. All of the winners will be published in the summer issue of The Smoking Poet, online in mid June 2010. An entry fee of $10 per submission is required, payment to be made through PayPal. Once you have sent in your submission and we determine it meets our contest guidelines, we will send you the PayPal link for payment with an invoice for your records. Entries must be submitted as a Word doc file, one per e-mail, in Times New Roman, 12-point font, and double-spaced. The author’s name, address, and telephone number must appear in the upper right hand corner. Word count must not exceed 4,000. Please include a short bio statement, not to exceed 100 words, in the body of your e-mail. The judges for the contest are Zinta Aistars, editor-in-chief of The Smoking Poet; Jeanette Lee, co-editor of The Smoking Poet; Lorena Audra Rutens, “A Good Cause” editor at The Smoking Poet; and the honorary judge of TSP's Third Annual Short Story Contest is Kevin Morgan Watson, founding publisher and editor of Press 53, a small literary publishing company in Winston-Salem NC. Literate Yourself! Submission deadline for the contest is May 31, 2010! Please send your submission with the subject line stating CONTEST/Last Name to thesmokingpoet@gmail.com. If the subject line does not state CONTEST, then we will assume it is a submission for the ezine. We look forward to reading your best work! For more information about The Smoking Poet, visit http://www.thesmokingpoet.net/. If you’re looking for a poetic way to spend this Sunday afternoon, I hope you’ll join in on the Theodore Roethke Centennial Birthday Celebration. I’ll be reading during the afternoon program and there are numerous Michigan poets reading their own work and Roethke’s poems too. 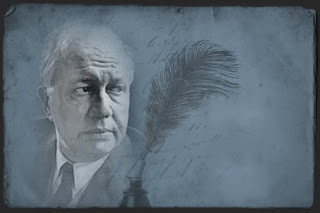 For more information about Theodore Roethke, visit http://www.roethkehouse.org/. Discover the power of social networking! Whether you already use social media sites or are just starting out, this session will introduce you to key concepts in building a strategic online presence. Promote your writing and build an audience online with user-friendly marketing tools. Laptops suggested, but not required. Or, download the print registration form here. Please email me with any questions about the workshop! Note, too, there are other workshops on the schedule if tonight doesn’t work for you. Another Social Media for Writers workshop will be offered July 21, from 6-9pm. Plus, an 8-week Intro to Creative Writing course begins next week at Macomb Community College. Want more info? Email me at lori@loriamay.com. The summer issue of Poets' Quarterly is just around the corner and I'd like to invite you to submit a book review. While PQ generally reviews poetry books published within the last year, I am opening the door to include some of your favorite poetry books for summer reading. What poetry collection do you always turn to in the dog days of summer? What book is as hot as the season? 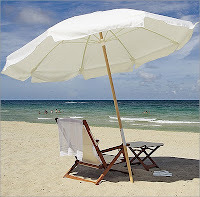 If there is a particular book that screams summer poetry to you, please feel free to submit an unsolicited review for the next issue. Complete submission guidelines (with specific formatting requirements) are available online at http://www.poetsquarterly.com/. The summer issue deadline is June 26. Poets' Quarterly is also looking for a handful of additional year-round reviewers so if you're interested in contributing a non-summer-specific review, send an email to info@poetsquarterly.com. Let me know if you have something in mind or if you need a book assigned to you for review. Interviews with poets are also welcome. I'm so pleased to share this quick Q&A I conducted with Kitty Lewis, the General Manager of Brick Books. Since they're celebrating a great milestone this year, I thought it would be great to see what's new and exciting with this well-loved Canadian publishing house. Hi Kitty. First off, I’d like to congratulate Brick Books. This year is the 35th anniversary… how are you celebrating? We've had a few celebrations in conjunction with author readings - with cake and door prizes - in our home town of London, Ontario as well as Edmonton, Whitehorse and Vancouver. A further event with author readings, cake and door prizes will take place in Toronto in October. You’ve no doubt witnessed and been a part of a variety of shifts in publishing over the years. What do you think is the most exciting thing happening in publishing right now? The internet has made a big difference for us in terms of people being able to find our books. We are also looki ng into creating e-books with our titles to get a broader range for our authors' work. How has the use of social media changed how you interact with readers? We have had a Facebook presence for 2 years and Twitter since last fall. It's another way to reach interested readers and fans of our publishing house. Brick Books is known for an incredible touring schedule and yet there are those who say the ‘author tour’ is dead. Why do you think it’s important for your authors to travel for book tours? I feel it is important for our authors to travel to read from their book. For us at Brick Books, it's a chance to get the work out there and let people hear the authors read from their books - this makes a big difference. Looking at the Brick Books publishing schedule ahead, what are you most excited about? We are excited about all our books - our spring books are in print - a first book by Antony Di Nardo of Toronto - Alien, Correspondent, much of which is set in Beirut where he has been teaching for the past 3 years - a second book by Eve Joseph of Victoria - The Secret Signature of Things; third books by Lorri Neilsen Glenn of Halifax and their second poet laureate - Lost Gospels - and by Steve McOrmond of Toronto - The Good News About Armageddon. Our fall books include a f irst book by Nico Rogers of Toronto, formerly of Edmonton - The Fetch, based on his research on his roots in Newfoundland; another first book - That Other Beauty by Karen Enns of Victoria, and a third poetry collection by Julia McCarthy of Upper Kennetcook - Return From Erebus. To see all of Brick Book's offerings, visit their website at http://www.brickbooks.ca/. Visit this link specifically to take advantage of the annual subscription offer to guarantee yourself a year of great literature. 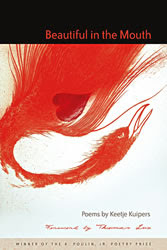 Accents Publishing is happy to announce its 2010 Poetry Chapbook Contest. Two winners will be selected – one by an independent judge, Richard Taylor, and one by the Senior Editor and founder of Accents Publishing, Katerina Stoykova-Klemer. Each winner will have his/her submission published as a perfect-bound chapbook and will receive 50 free copies, along with a $150 cash prize. Additionally, the winners will be invited for a featured reading at a book premiere celebration event. All contest entries will be considered for regular publication with Accents Publishing, as well. The entry fee is $10.00. Multiple submissions are allowed, as long as each one is accompanied by a separate entry fee and submission form. Winning chapbooks may be pre-ordered at the time of submission for $5.00 each. Please do not include a SASE, as notification will be made by email only. We will accept submissions between March 5th and July 31st. Winners will be announced in August. The contest is open to all residents of the United States and Canada writing in English. Employees of Accents or family members of judges are ineligible to participate. Simultaneous submissions will be accepted, but please notify us immediately if your manuscript is accepted for publication elsewhere. Your name should not appear anywhere within the manuscript. Please do not send your only copy of your work, as manuscripts will be recycled. Accents Publishing is an independent press for brilliant voices. For more information, or to download the submission form, please visit us at http://www.accents-publishing.com. Please forward to poets who may be interested in this opportunity. I highly recommend this debut poetry collection and hope you’ll visit Gently Read Literature for my recent review of Beautiful in the Mouth by Keetje Kuipers, available here. By the way, I’ve just updated my website with some more news and events, so please take a gander at your will. And… congrats to Carrie Harris for winning the April book giveaway. Carrie, send me an email and let me know where to send your prize! Regardless of where you live, there are abundant opportunities for you to get involved in the writing community. Sometimes it’s more of a struggle for emerging authors to find ways to connect with others, particularly in smaller towns, but there are so many ways you can get involved—or create opportunities of your own. For the May 2010 issue of THE WRITER magazine, I had the pleasure of chatting with four individuals who were eager to share some tips about meaningful ways to get involved in the literary community. I chatted with author Matt Bell, agent Andrea Hurst, and editors Leah Maines and Kate Gale. There’s a two-page spread beginning on page 8 that will hopefully offer a few ideas to inspire and motivate you. 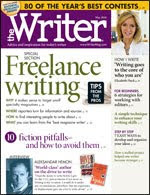 The May issue of The Writer is on newsstands now, or you can order online here.